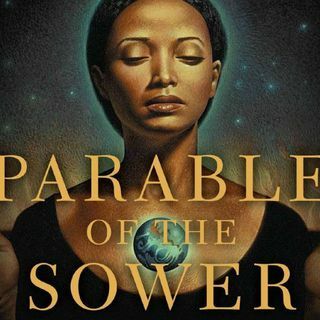 Thank you so much to D'Nique for commissioning another episode of Parable Of The Sower! These chapters are really much more hopeful than probably any of the others so far. I am fascinated by these characters, and really irritated with some of them as well. I have to admit that I'm really worried about our crew teaming up with a family that has a baby. I know that it's to the other family's advantage, and I respect that, but there is nothing that serves as an ankle weight ... See More quite like an infant. At least this isn't the zombie apocalypse where any tiny amount of noise can get you killed...but it's not that far off, either. Also, it is really startling to me how close to our own present world everything is in this book, which I don't think quite registered with me until now. Find out what did it, and listen, and enjoy!